Dimensions 0.50 by 9 by 9 in. Amazon.com description: Product Description: What does it mean to be a spectator to war in an era when the boundaries between witnessing and perpetrating violence have become profoundly blurred? Arguing that the contemporary dynamics of military spectatorship took shape in Napoleonic Europe, Watching War explores the status of warfare as a spectacle unfolding before a mass audience. By showing that the battlefield was a virtual phenomenon long before the invention of photography, film, or the Internet, this book proposes that the unique character of modern conflicts has been a product of imaginary as much as material forces. Warfare first became total in the Napoleonic era, when battles became too large and violent to be observed firsthand and could only be grasped in the imagination. Thenceforth, fantasies of what war was or should be proved critical for how wars were fought and experienced. As war's reach came to be limited only by the creativity of the mind's eye, its campaigns gave rise to expectations that could not be fulfilled. As a result, war's modern audiences have often found themselves bored more than enthralled by their encounters with combat. 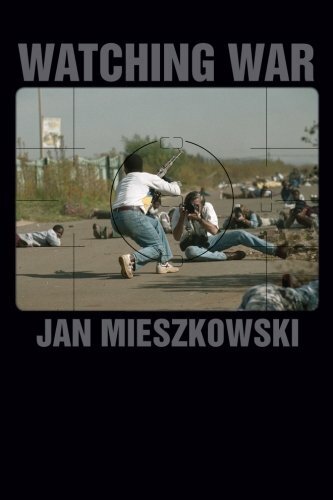 Mieszkowski takes an interdisciplinary approach to this major ethical and political concern of our time, bringing literary and philosophical texts into dialogue with artworks, historical documents, and classics of photojournalism.